Amid the lunchtime chaos at Rock Ridge High School, Emily Sola is easy to find. You’ll see her every day in the corner of the cafeteria with a group of special education students that many dismiss. Her friendship with these students started her sophomore year on her first day at Rock Ridge, after being reassigned from Briar Woods. She didn’t know where to sit in the crowded cafeteria, until she noticed a freshman boy she’d later learn has autism. And she knows what it’s like to have physical challenges. She had a stroke at 10 years old and had to relearn basic skills—how to walk, talk, write and ride a bike. Her grueling experience and having a younger brother who has autism have made her especially sensitive to young people facing developmental challenges. It’ll come as no surprise that she plans to work as a special education teacher. 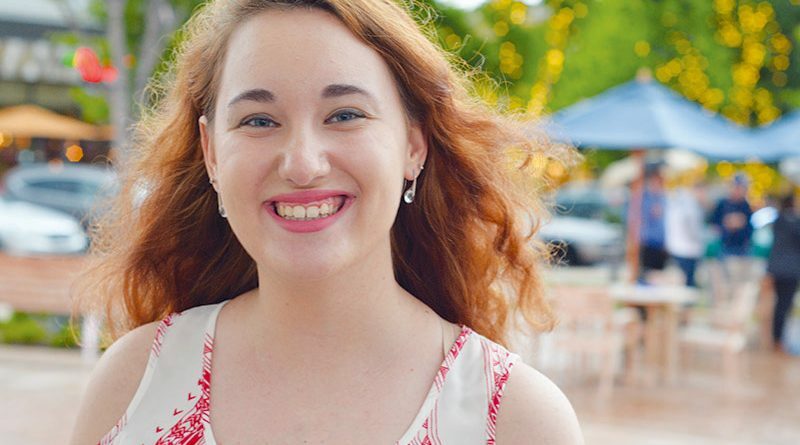 She’ll first pursue her bachelor’s and master’s degree at James Madison University and spend her summer working at the arts therapy nonprofit, A Place to Be. Earlier this year, she performed in its production of “Behind the Label,” meant to encourage people to look beyond diagnosis.